Kwame Anku is the CEO and Chairman of the Black Star Fund, an early-stage innovation fund. 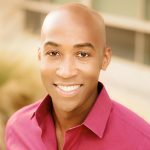 Kwame has worked extensively in business development and media marketing for over two decades, entering into the tech industry after being personally recruited by the late legendary rock star Prince to develop his mobile app, overseeing business and development teams on Africa, Asia, and the US. 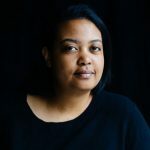 Arlan Hamilton is a remarkable entrepreneur who built a venture capital fund from the ground up, while homeless. 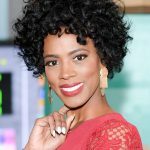 She is the Founder and Managing Partner of Backstage Capital, a VC firm dedicated to minimizing funding disparities in tech by investing in high-potential founders who are people of color, women, and/or LGBT. Carmen Gentile has spent the last two decades traveling the world as a journalist covering conflict and developing countries. 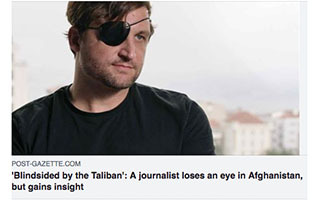 His work has taken him to the mountains of Afghanistan, Iraqi deserts and the Brazilian Amazon and has appeared in The New York Times, TIME, Esquire, USA Today and other leading publications. When he’s not working, Carmen has climbed mountains in Bolivia, surfed world-class waves in El Salvador and off-road motorcycled in New Zealand. 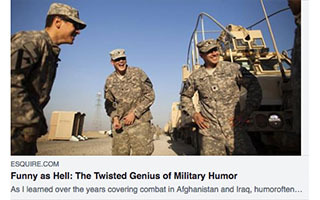 In 2010, his life was forever changed when he was injured by a Taliban rocket-propelled grenade while embedded with U.S. forces in Afghanistan. In perhaps the most unusual injury in the annals of modern warfare, Carmen was struck in the face by the rocket at close range, blinding him in his right eye and shattering the side of his face. Fortunately for him, the ordnance, capable of disabling an armored vehicle, did not detonate. Carmen was evacuated from the hot zone and subsequently underwent four operations to repair his face and restore some of his vision. 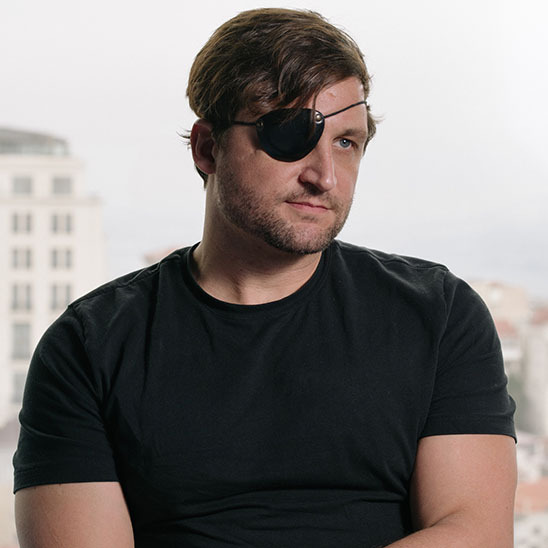 After months of recovery, he returned to frontline reporting in Afghanistan, a harrowing tale he chronicles with dark and self-deprecating humor in his book Blindsided by the Taliban. The story chronicles not only his injury but his personal, professional, and romantic missteps and Carmen seeks to return to the one thing he feels he can still get right: covering war. 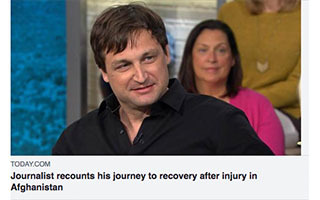 He has spoken at length about his experience and how having a sense of humor about his injury and other setbacks helped him maintain his sanity during the worst time of his life. Carmen continues to cover conflict like the recent fighting in Iraq between local forces and the Islamic State in the northern city of Mosul. 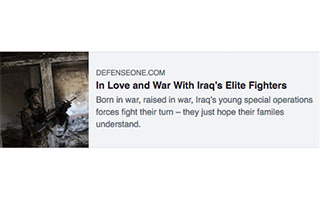 Hoping to entice new readers to this important story, he recently teamed up with a photographer and fellow motorcycle enthusiast to combine riding and the story of the fighting in Iraq into a single narrative. The story proved so popular that Carmen is now working with a production team to turn the concept into a TV series with episodes taking place in countries where he’s previously reported including Afghanistan, Haiti, Brazil, and Iraq. 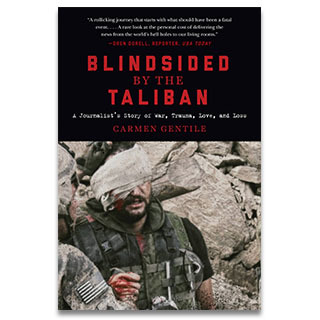 Based on his book of the same name, Carmen Gentile is a longtime conflict correspondent with a flair for storytelling and will make his own tale of survival from a deadly and unusual attack compelling and thought-provoking for anyone who’s faced adversity in their own lives. Getting the story from the front lines has become increasingly difficult, what with news outlets and news consumers paying less attention to the fighting and suffering overseas. Carmen Gentile has reported on wars in Afghanistan and Iraq, as well as bouts of unrest around the world. Most of his work has appeared in mainstream publications like USA Today and other leading outlets. 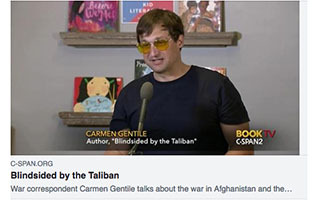 But with more Americans focusing their interest on events at home, Carmen has turned his attention towards finding new ways to get audiences and readers to pay attention to the important stories happening thousands of miles away. While reporting on the fighting in Iraq between locals forces and the Islamic State, Carmen and a photographer found a new angle on the story. Both being passionate about motorcycles, they found in the embattled city of Mosul a unique bike which they purchased from a local man, then hired a mechanic to repair. The duo then rode the bike in northern Iraq, telling the story of the war and the people affected by it through their motorcycle adventure. 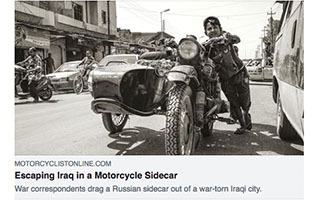 The story proved so popular that Carmen is currently collaborating with a production team to create a series that combines motorcycle riding and reporting in places like Afghanistan, Iraq, Haiti, The Balkans and elsewhere. 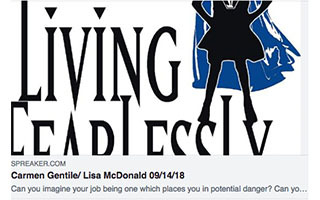 Finding creative new ways to continue telling important stories and enticing new readers and viewers to take an interest in other parts of the world. 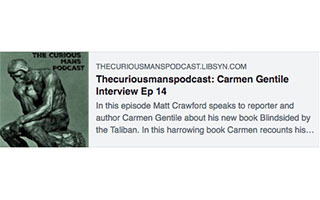 Carmen Gentile has spent years working in war zones and other hostile environments the world over. Now Carmen is imparting the lessons he learned in the field to others who cover conflict and wish to remain safe while getting the story. He imparts years of accrued knowledge as a volunteer instructor for the nonprofit organization Trauma Training for Journalists. Earlier this year, TTJ held a training for journalists working Cambodia, where those reporting the news have been harassed by authorities and caught in the middle of deadly protests. Carmen instructed a group of multinational journalists on how to cover violence while remaining safe in the process. Safety equipment: body, armor, helmet, first aid kits, emergency contacts. What an amazing start to the Postindustrial Kickstarter campaign! In less than one day, we are already a third of the way toward reaching our goal! Help us cross the finish line by making a contribution today! My new media outlet Postindustrial just launched a Kickstarter Campaign! Contribute and get a free subscription and other choice items.